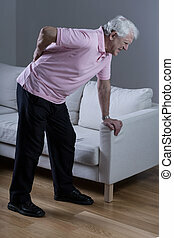 Backache. 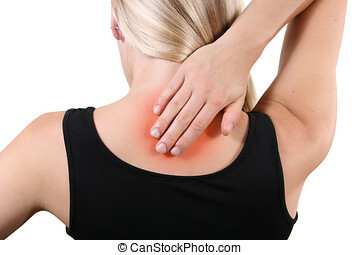 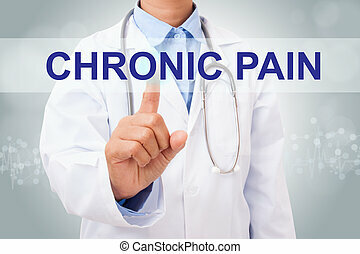 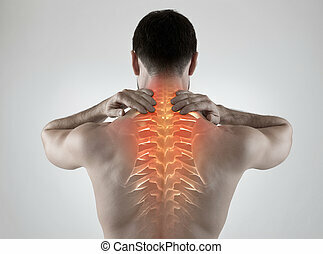 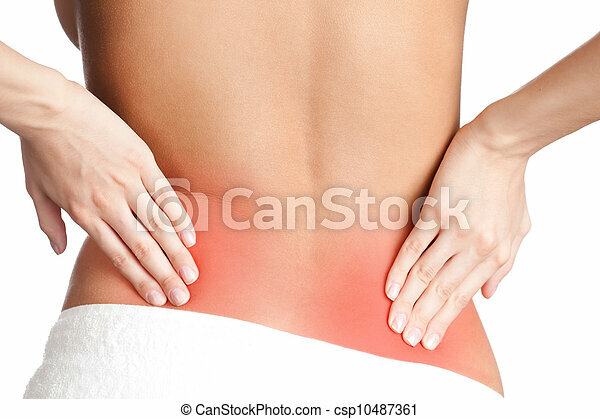 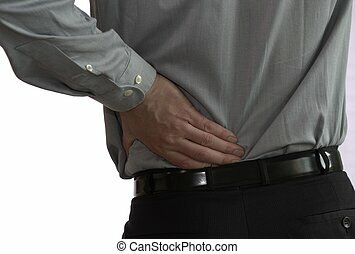 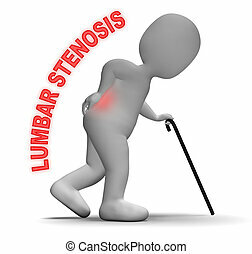 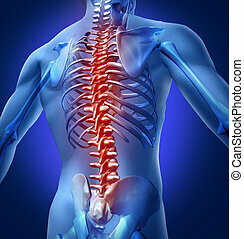 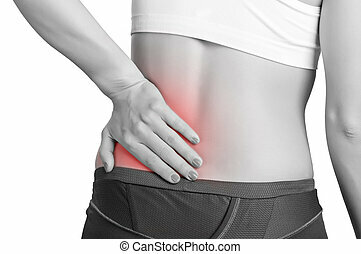 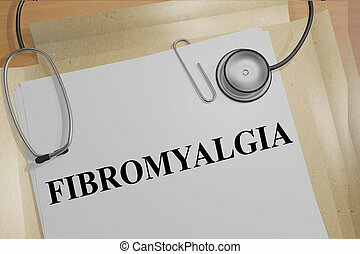 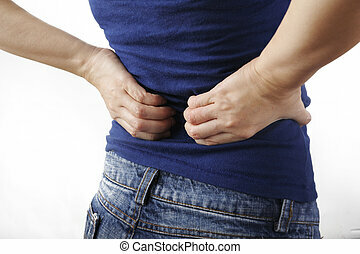 Awful backache, isolated, white background. 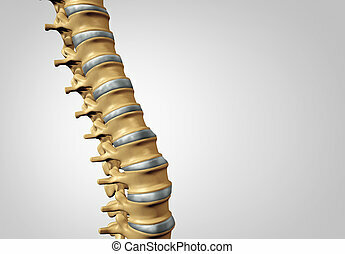 Spine diagnostic human spinal system concept as medical health care anatomy symbol with the skeletal bone structure and intervertebral discs closeup with copy space.